Coming together to produce a methodical, effective approach to content marketing. I put this at the end, because it should be at the beginning, but is the most important element in build an Inbound Marketing campaign. Email is the most effective tool, and when enhanced with the blog, is uber effective. Outlines can be incredibly helpful for setting out the skeleton of your content and planning for successful execution. For the brainstorming section, you’ll want to find a quiet place. My workplace is an open plan, so my “quiet place” usually involves headphones and Vangelis. Have you learned how to optimize your website for both SEO and conversions? If not, your website isn’t working as hard as it should. 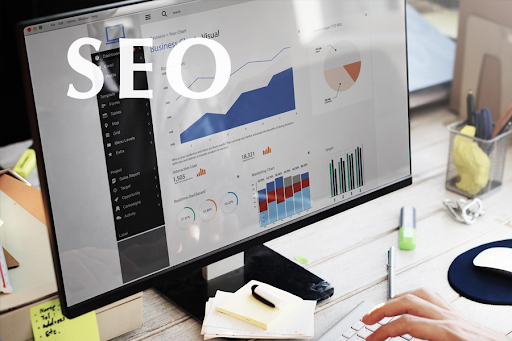 SEO and conversions might exist in separate parts of the marketing sector, but they’re inextricably linked. If you have good SEO, you can attract more traffic and get more opportunities to convert potential customers. And a website optimized for conversions typically has better metrics, such as time on page and bounce rate, which means that Google might rank it higher. The following tips and strategies will teach you how to optimize your website for both SEO and conversions so you get both of best worlds. If you’re not sure whether you need to spend the time necessary to learn how to optimize for conversions and SEO in tandem, there are plenty of reasons to set aside that time. First, you need to know how they work together to create a leaner, more productive website. Let’s look at five specific reasons to optimize your site immediately and to continually optimize your site as time passes. Marketers sometimes feel as though they’re at odds with Google. The search engine fails to rank their best content, for instance, or they see a huge drop in traffic after an algorithmic update. You just go about it in different ways. Google’s analyzing millions of websites, while you’re analyzing your specific audience’s behaviors. Google uses more than 200 ranking signals to decide which pieces of content appear on the first page of the search engine results. The algorithm pays careful attention to signs that a particular web page will give searchers the information they seek. When you focus on SEO, you choose primary and latent semantic keywords related to search intent. You write content that people love to read and make sure you provide meta information to help Google better understand the copy. If you optimize your website for conversions, you focus on guiding visitors toward a specific goal, whether it’s joining your email list or buying one of your products. Just like Google, you want to give your audience exactly what those consumers want. 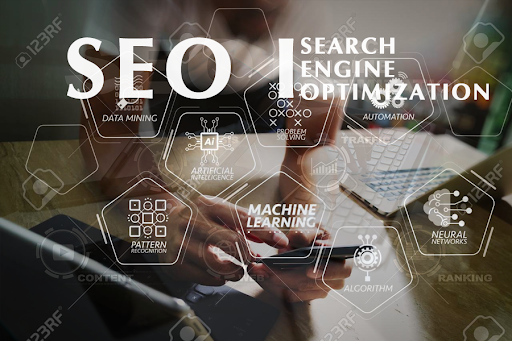 Knowing how to optimize your website for SEO and conversions simultaneously furthers both of those goals and creates a better relationship between your site and the search engines. The average business spends about 1 percent of its total revenue on advertising. If your business rakes in $1 million per year, you might spend $10,000 on advertising. While that might seem like a small percentage, it adds up. Some industries, such as retail, spend considerably more on ads. Attracting organic traffic through SEO, however, is free. You have to pay to develop and promote the content, but that’s not nearly as expensive as pay-per-click. When you compare the close rate between searchers who arrive at your site via organic search and those that come via paid ads, the results are illustrative. Organic search closes at nearly 15 percent, while paid search closes at less than 2 percent. Invest your time and, if necessary, money into growing your organic traffic. It might take longer, but the results last longer and result in more conversions. When people visit your website, you don’t want them to poke around and leave. Instead, you want to make a lasting impression and encourage them to return. Learning how to optimize your website for conversions requires an understanding of the user experience. Figure out how visitors navigate your site, whether they scroll down the page, and how often they click on your calls to action (CTAs). If someone signs up for your email list, you can contact them at a later date with offers, incentives, and more. You can also encourage visitors to follow you on social, visit your product pages, and read your blog posts. Capitalizing on existing traffic helps improve your conversion rate because a higher percent of your organic traffic will convert. You know what offers your audience will respond to and how to present it to them in an appealing way. Anyone can build a website — even a beautiful website — but far fewer can create a website that reliably produces conversions. After all, the average conversion rate across all industries is less than 2.5 percent. You want your audience to convert at much higher rates. To do so, you have to study your audience closely and give them what they need and expect. If you’ve done the research and applied the data to your site, you can expect a jump in conversion rates. The people who visit your site find what they need quickly and appreciate your brand for providing it. Brand loyalty results. SEO always comes first, though. Without traffic, you can’t have conversions. Create a site with valuable, sticky content and plenty of opportunities for visitors to convert. You have an e-commerce site that sells shoes. A customer needs a new pair of running shoes and conducts a Google search for the best shoes for runners. You’ve written a long, in-depth blog post about choosing running shoes, including brand recommendations and information for different types of runners. The visitor reads the article. In the end, you have a lead magnet that offers a free sizing and fit chart for runners. All the visitor has to do is sign up for your email list. You send the lead magnet immediately to the visitor. A few days later, you send out a coupon code for your online store along with images of running shoes. The customer realizes you have what meets his or her needs, and the discount incentivizes an immediate sale. As you can see, SEO and conversion rate optimization work hand-in-hand. If you meet your audience’s expectations and help them find what they want, you’ll secure a customer. If SEO and conversions go together, you know you have to start somewhere. 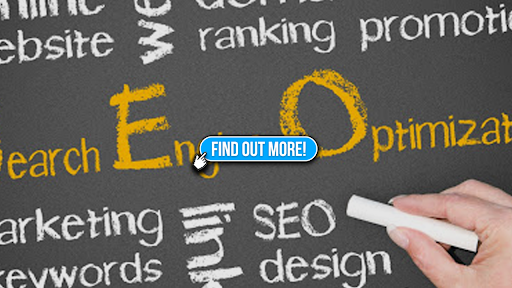 Begin by boosting the SEO on your website so you draw more traffic. The following steps will set you up for success in terms of SEO. You can then turn your focus to conversions while continuing to update and release new content. One piece of data by itself might not tell you anything, but when you collect lots of data, you start to notice patterns. If a few people visit your site and fail to click on your CTA, you might not have a problem. However, if a large percentage of visitors ignore your CTA, you might need to make some adjustments. User behavior reports and Google Search Console traffic data help paint a clear picture. User behavior reports, for instance, show you how people behave once they land on your site, while GSC data tracks key metrics, such as the number of sessions, number of unique sessions, bounce rate, and more. Analyze the data for specific patterns. Referral sources can tell you a lot about your audience. How are people finding your site? Look for pages that get more traffic and more conversions than others. Reverse-engineer that page’s success to replicate it across your site. Years ago, you could pick a keyword out of thin air, write a 300-word article, and rank for that keyword the next day. SEO doesn’t work like that anymore. Tools like Ubersuggest help you find keywords related to your business and niche. 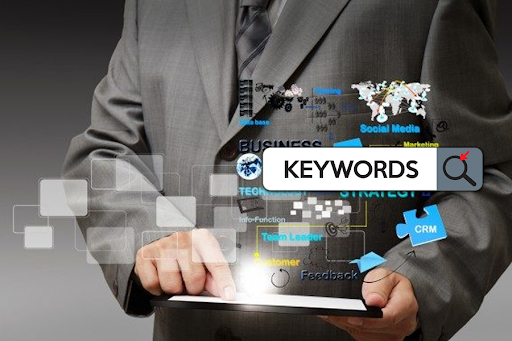 Use it to find long-tail keywords that fit with your prospective customers’ user intent. Think about why they would search for a particular keyword and what they would hope to find on a page about it. 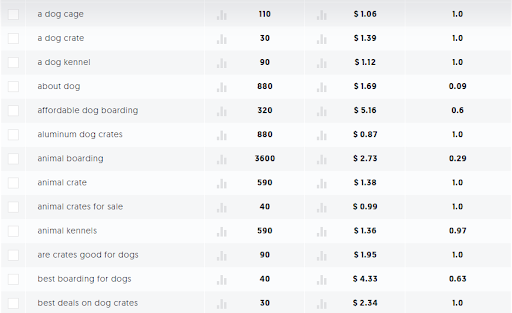 Ubersuggest will provide you with a list of keywords that you can filter in several ways. You’re looking for long-tail keywords you can use to attract a specific audience. 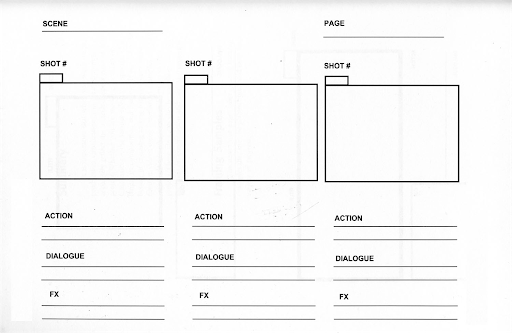 Do this over and over again as you create more pages for your site. Write long, in-depth articles that provide as much information on the topic as possible. According to Buffer, the ideal length for a blog post is 1,600 words. That’s just a starting point, though. Before you decide on the optimum length for your content, Google your primary keyword and visit the top 10 results in the SERPs. Are some of those pages longer than 1,600 words? Then yours should be, too. Length isn’t everything. However, it sends a signal to Google that you’re providing more information. If lots of people spend a long time on that page — reading to the very end — you’re more likely to rank higher. On-page SEO tells you how to optimize your website when you’re building specific pages. Factors like headlines, subheadlines, URL slugs, and meta tags fall into this category. Use your primary keyword in your headline, preferably as close to the beginning as possible. It should also appear in the slug and at least one subheadline. Throughout the body copy, aim for .5 percent to 2.5 percent. Try not to go over the higher end to avoid looking like a keyword stuffer. Sprinkle your primary and related keywords throughout your body copy, subheadlines, and image alt text. Include plenty of context for each so Google accurately understands what you’re talking about. We’ll talk specifically about backlinks a little later, but links, in general, can make a big difference in SEO. You don’t want to get links from small, low-authority sites. They won’t help (and they can hurt). Instead, you want to target well-respected publications when researching backlinks. With more and more people accessing websites via mobile devices, you don’t want to leave those potential conversions out in the cold. Furthermore, Google has launched the mobile-first index, which means you might rank better if you focus on mobile friendliness. Responsive design offers the easiest solution. You can download free and premium WordPress themes that have responsive design built in, which means you don’t have to worry about adding any extra code. Page speed matters when it comes to both SEO and conversions. If you visit a website that takes forever to load, you’ll likely click the “back” button and look for something else. Similarly, if you’re filling out a form that refuses to submit due to slow speed, you’ll eventually give up. Google’s PageSpeed Insights gives you valuable insight into how fast your site loads across all devices and what specific things you can fix to make your site faster. Backlinks are a prime factor in helping your website rank better. When high-quality sites link to yours, Google interprets the link as a signal of your site’s credibility. As you build a solid backlink profile, your pages will climb up the ranks. Getting quality backlinks takes effort, but you’ll see results. Consider emailing influencers and other blogs in your niche. 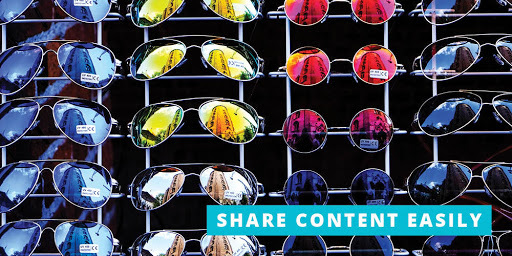 Share your article with them and point them to a page where you’ve shared a piece of their content. Can SEO Improve Your Website Conversions? Now that we’ve covered improving your SEO, what happens to your conversions? You won’t see results right away. Rankings take time to build, especially with the plethora of content that exists online, so you have to work hard to build quality content, attract backlinks, and establish credibility with Google. However, you should start preparing for conversions now. If you know how to optimize your website, you can immediately see greater conversions even if you have low traffic. SEO improves conversions by directing the right searchers to your content. If you make a page’s purpose clear, Google can rank it accurately based on search intent on the part of the consumer. Additionally, writing longer, more value-driven articles increases the chances of a visitor converting. They recognize the value of what you’ve shared and become intrigued. As long as you present them with an attractive offer, you increase the chances of gaining conversions. User experience simply means how people perceive your site relative to navigation and finding what they want. A good user experience leaves the visitor satisfied and appreciative. To snag more conversions, focus on the smallest details. For instance, examine your homepage and identify every element, from your logo and top navigation bar to the widgets in your sidebar. If you removed one of those elements, would you harm the user experience? If not, get rid of it. Focus on driving your traffic toward the action you want people to take. Guesswork only goes so far when it comes to user experience. You might think an element on the page is necessary, but user behavior reports don’t bear that out. 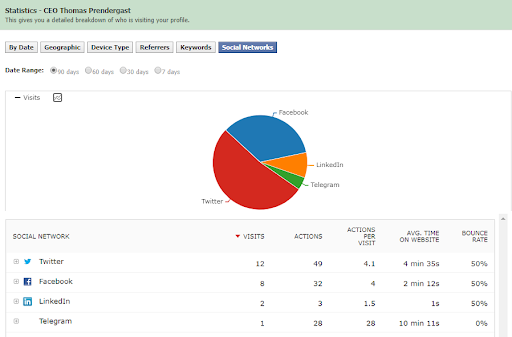 Running user behavior reports gives you unique insights into what people do when they arrive on your website. Heatmaps, for instance, show you where the most clicking activity happens so you can position your most important elements on the page. SEO can prove extremely complex, but knowing the basics will give you a running start. Begin by collecting as much data as you can and conducting thorough research. Write content geared toward your audience, but make sure it’s better than your competitors’. Create separate campaigns for on-page and off-page SEO. Make sure your site loads quickly on both desktop and mobile and that you’re attracting backlinks as much as possible. Then figure out how to optimize your website for conversions so you don’t waste all that good traffic. Focus on the user experience and the patterns you detect through user behavior reports. Over time, you’ll see traffic and conversions increase based on your hard work. Furthermore, even older content can continue to work hard for you. Don’t discount your efforts as only relevant to the moment. If you write solid evergreen content, you can attract traffic — and generate conversions — for years to come. The majority of this report is from Neil Patel @ Crazy Egg. Publishing content is important. But it’s also necessary to know how well your content performs and if your social media strategy is working. The only way to do that is to keep track of your social media analytics and equip yourself with the right tools and reports to do so. 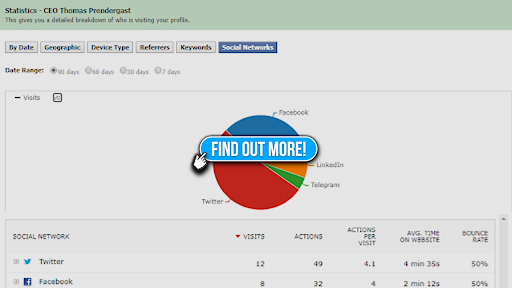 Do you know who you’re targeting on each social network? Twitter, Facebook, Instagram, Pinterest, and other networks don’t have the same exact audience. It’s important to know the demographics of each network so you can cater your content and messaging to fit. Socialmediatoday. At Markethive, collaboration, mentoring, our own tracking tools and education programs will quickly turn you into a marketing master. There have been several studies lately that paint a downright depressing picture of how much content gets shared. Otherwise, they won’t do anything. So if you’re one of the few blogs that don’t already have social sharing buttons setup, go tie that down. If there’s no nice header image, people know they’re less likely to get their post-re-shared. But stop fretting and just install Disqus. Markethive’s Blog platform WordPress plugin makes your WordPress a huge social share hub. Markethive turns your content and marketing into a huge broadcasting system integrated with a large social network making social share turnkey, simple and impressive. Chances are that if you’re already using social media, then you are doing content marketing to some extent. The next step is to get a strategy in place. This guide will walk you through why having a content marketing strategy is important and different ways you can get started on your own. To begin with, content marketing is taking any type of content (digital or physical) and purposefully sending it out to your audience. Adding a strategy to this means that you’ve thought about your goals, audiences and distribution channels. Who is your audience? These are usually based on market segments and certain types of content will target specific segments. What metrics will you use to measure success and ROI? What pain points will you solve? There are quite a few types of content out there now with new channels being developed every year. Part of being a good content marketer is being able to learn new types and be open to experimentation. Relatively new to the scene is user-generated social media content that can be used as part of your strategy. How will you get the word out about your content? You can publish all the white papers you want but no one will see them if you’re not talking about them. For some channels, the line between content and channel blurs. For example, email newsletters are an excellent way of promoting your branded content. But, some brands also include unique content in the newsletter’s body. There is no right or wrong way to approach this. If you find that mixing it up works for your company, then go ahead and do it. The most common channel is email, with 82% of marketers reporting it as the most effective. This is not-so-closely followed by social media at 54% and website/blog at 51%. What does this mean for you? If you’re just starting out, use this as a jumping point on where to focus your beginning efforts. Start with one or two channels and expand as you feel more comfortable. Before you start diving into all of the content possibilities, take a step back and look at what resources you have available to you. Are you a marketing team of one or ten? What skill sets are already on your team? Does your marketing budget have room to hire a professional content creator? You shouldn’t get into producing videos if you don’t have the available skills nor the budget for a videographer. Keep in mind that time is also a resource. New content types take time to learn, experiment with and create. Next, think about who can generate this content. Don’t limit it to only the marketing team. Your sales and support teams will know what pains the customer or business goes through, too. All of the departments should have some content ideas that can be developed. There are many ways to get started in developing your strategy. Here, we’ll offer three ways to get started. It’s possible that you’ve done some of this work already. In that case, repurpose your previous research and put it to use here. The start of any new strategy begins with knowing what goals you have in mind. In content marketing, multiple goals are common and are often matched with content types and channels. And for each goal, you’ll need to define metrics that are used to measure success. For example, one of your content marketing goals may be to increase your trial signups. To do this, you’d plan on creating case studies that will be published on your website and shared via social media. The case study includes text, photos, a downloadable PDF and video. Your sales team will use the link to share success studies with potential clients and your social media team will use the different media formats to repeatedly promote the case study. This content matrix from Ninetyblack provides a graphical guide to where content can fall. The matrix may look different for your business. Quizzes are usually designed to be entertaining and can be a useful way to spread brand awareness. What’s working for you now? If you already have some branded content, conduct a content audit to help you understand what has and hasn’t been successful. The audit should include the actual content links and distribution channels. Perhaps you’ve produced a few videos but they’ve only been published to YouTube. You’ve found that the audience is receptive to the videos. At this point, you may notice that a few videos have call-to-action links in the captions that lead back to your website. These videos not only were watched but people clicked on them to learn more. This discovery could potentially lead you to add more links into your captions for more cross-channel promotions. 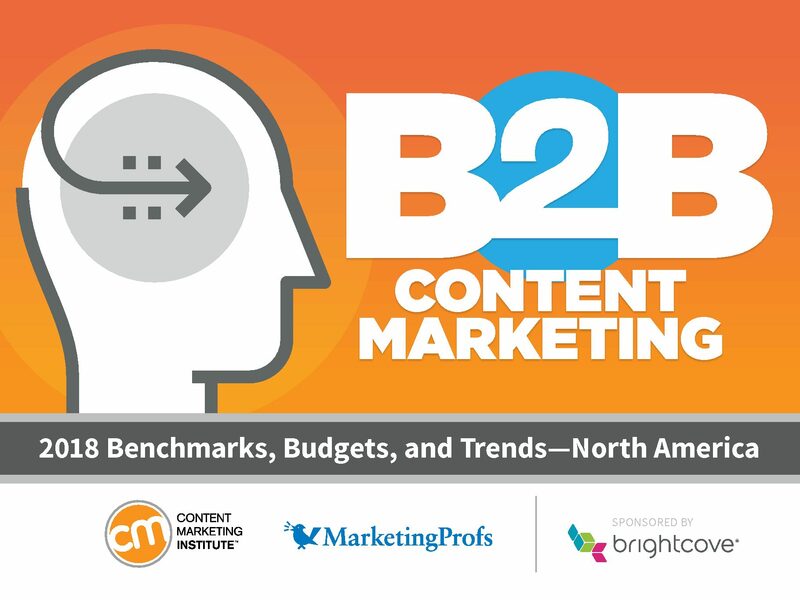 In a Content Marketing Institute’s 2018 trends report, B2B marketers credited content creation and strategy as the top two factors in their content marketing success. Note that for content creation, it’s specified to be higher quality and more efficient. Low-quality content doesn’t cut it anymore especially if your competition is also focused on content marketing. If your content was mostly pushed through social media channels, performing a social media audit may be beneficial to you. This way, you can see what type of content performed well and duplicate the similarities. Certain types of content work best at points of a customer journey. A helpful product troubleshooting video won’t be as interesting to a potential customer in the awareness phase as it is for someone who has already purchased. Being aware that it exists, however, may help move the decision along. This Boston Interactive checklist shows the various content types that match a customer’s purchase phase. Remember, though, that a customer’s journey doesn’t end at the purchase. Past the purchase point, there’s still retention and support that need content marketing, too. Bright Vessel illustrates their version of a customer journey map, indicating where each department plays a role. This exercise makes you reflect on every customer touchpoint. Mapping this for your brand helps you understand where your content can be best served. Once you have the map down, then your content can be further tweaked and adjusted to reflect your audience and their journey status. Now that you have three ways to brainstorm your strategy, the next steps are to document and implement it. 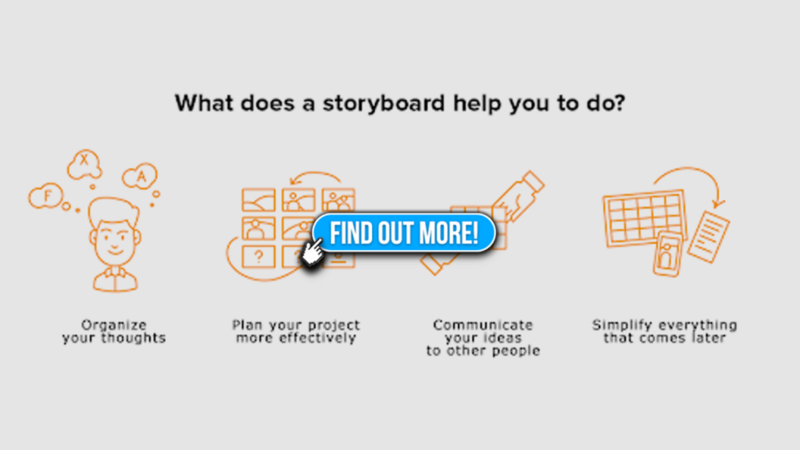 With documentation, you’ll have a way to reference and steer your future content. If your strategy was to promote your blog posts on both social media and email newsletters but you find that newsletters are receiving a lot of engagement, you may look into increasing the send frequency or creating a subscriber list for only the blog. Many content marketing calendars are overviews of content that’s planned for the year. They’ll often list the content, type, audience, customer phase and distribution channel(s), along with the publishing dates. This all-in-one calendar type is helpful for big picture planning. Once you’ve drawn up the calendar, you’ll still need to listen and distribute it, and this is where social media plays a big role. A social media-minded content marketing strategy incorporates both social monitoring and publishing. Markethive helps with both of these objectives. Through the Google calendar features, you can see when content is distributed and across which channels. For well-performing posts, Markethive makes it easy to republish the content with just a few clicks. To monitor the topics your audience cares about, you use branded keywords and search options to see who’s talking about you and to curate content for redistribution. Content marketing doesn’t have to only include branded content. It also includes content that’s published about you or industry-adjacent news. Searching for topics in your industry in Advanced Google Search helps you easily identify & curate the content that your audience cares about. Setup Google Alerts to keep you aware when others talk about your business and industry. Like Markethive and “Inbound Marketing”. Make sure you have a Disqus account, so you can engage blogs utilizing Disqus alerts and search for industries and blogs and articles that mention you. In the end, content marketing strategies vary from business to business. The advice given here is meant to be a framework to begin your content marketing strategy, not as set-in-stone rules. As you begin this journey, you’ll find that some strategies or content don’t work for you and that’s okay. Having both defined goals and a plan in hand will go a long way in starting your strategy. Everything you need for a clearly defined strategy! Whether you are looking to establish a winning position for your business, find the right direction, gain further control or even put more time into the right things, strategy plays a big part in any successful business. Successful businesses invest time working on their strategy and defining their sphere of influence. These businesses recognize the exponential return of working ON the business versus the incremental return of working IN the business. Without working on your business, you will always be working in your business. Working on your strategy is working on your business. At this stage you could be thinking your current strategy doesn’t stack up against these criteria, and in reality, it probably doesn’t. Not many do – we know this from experience. If that is the case then it is time to review, if not recreate, your strategy. Building a winning strategy is very rewarding to any business however it takes time, structure and unbiased thinking. As you can see, strategic planning takes a great deal of time and effort. It also explains why most businesses don’t spend the time needed to work on their strategy. My advice is to take the time needed and get it right. A clearly defined strategy is extremely important for any business, don't let it be the Achilles of your business. At Markethive we mentor our subscribers by providing leadership and tutorials with hands-on strategic investigations and analytics. We call it collaboration and you are invited to work with us to learn these important skills. You know that defining a target audience is a business best practice. But defining a target audience is a best practice for anyone that needs others to give them something. It might be a salary, an investment or money in exchange for a product or service. Whenever you need something from someone you go through at least some of the steps in defining a target audience. We go through the target audience process even at an early age. Think back to when you were a kid. When you wanted a treat you went through the target audience process. You knew that your dad probably wouldn’t be the one to approve your request so you went to your mom and you made sure to catch her in the right mood. That’s an example of defining your target audience. It’s a basic example, but businesses go through that process so they have more success. It doesn’t make sense to try to please everyone. Your time, energy and money are better invested in a target audience. And that goes for defining the target audience for your personal brand too. In this chapter we’re going to take you through the steps you’ll need to follow to define the target audience for your personal brand. We’ll cover a few of the basics, but we’ll also include more advanced steps for making sure you’re targeting the exact people that can help you achieve your goals. I’d first focus on establishing a crystal-clear empathy with the audience I was planning to serve, so I know what their problem is, how they feel about it and what they currently do to try and solve it. The best way to learn this in my experience is in person, over the phone or a distant third is via monitoring discussions in groups, blog comments, forums, and social media. If I don’t do this step well, I won’t have an audience or make any sales down the line, so it’s the vital first step for ROI. Once I know my audience I would craft a clear offer based on the position I want to take within an industry and focus on making sales as soon as possible. In my case, since I know blogging and email marketing, that offer would be reflected in the new blog and newsletter opt-in form I would set up, as well as the email sequence and blog posts that follow. All these things lead people to the product or service I was selling so I could attract buyers. I want to know I have buyers before I build out the rest of my platform and cement my brand. Assuming I’ve done these tests and I know I have a buying audience, then my focus is simple – improve traffic and conversion. I expand what is already working, add more traffic sources, make more offers and run split tests to improve results. This guide is about building your personal brand so it’s naturally going to focus on what you can do to help yourself. There is nothing wrong with wanting to improve your status in life and achieve the goals that will make you happy. But for this chapter, the focus shifts a bit to building relationships with your target audience. Relationships are essential to living a fulfilling life. In fact, studies have shown that we need people to be well and to thrive. Without people, all the money in the world wouldn’t make you happy. The cliché in the world of relationships is: You Get What You Give. We all focus on our families and ourselves. It’s natural and it’s okay, but if in order to have good things come to you, such as quality professional relationships, you need to give to the people that you want to connect with. We’re going to go through a step in this chapter where you will focus on the motivations of your target audience. The reason for this is for you to focus on what others want from you. Once you know what that something is you can give it to that person and show that you have their best interests in mind. In life and in business, when you help others achieve their goals they’ll be more likely to help you achieve yours. You want something from your target audience, but in this chapter, you’ll only get what you give. When you have your vision and you have a good idea of the person that will pay you and help you get to your goal. These next steps will take you through the necessary process of refining your target audience to make your brand implementation more effective. OK, we have laid out a path to your ultimate career goal. There are steps along the way to help you achieve that goal and along that path, there will be people that will determine if and when you can take it to the next level. If you’re looking to reach an executive level with a company then the person that decides how you move up in the business is each of your bosses along the way. For example, you might start as a sales associate. Your target audience is your immediate superior or the lead salesperson in your sales team or division. Identify the person that is in charge of the next step in your career. It might be an investor. It might be a client. Or it could be the boss we just mentioned. It could be a specific person that you have in mind or it could be the vision of a person. Whatever it is, identify that person and move to the next step. Next, create a complete description of the person. Marketers and business leaders do this all the time with their customers. They put comprehensive descriptions together of their target customers to create detailed, vivid images of the exact person their employees will think about when making every decision in the business. Now, you will do the same with your target audience. As you build the profile of your target audience you’ll get inside their head and figure out their motivations. This is important because, as we said earlier, when you know what this person’s motivations are you can help them achieve their goals as a way to achieve your own goals (you get what you give). For example, if your target audience is your current boss, the sales team leader. Their motivation might be two-fold: 1) move up to the next position in the business, which is probably regional sales manager or a similar position and 2) more free time to spend with his or her growing family. Knowing these motivations, you can help your boss achieve his or her goals. You can lead new initiatives to increase sales across the team. You can improve the efficiencies of processes to cut down on time spent in the office. Another example, your target audience is your next new client. Your client’s motivation is to grow their business, which means more sales and more profit. If you can help your client achieve those goals they’ll be happy to pay you for your products and services, which helps you achieve your goals (you get what you give). Identify the motivations of your target audience and from there you can identify your opportunities to help them and improve your position on the way to your ultimate goal. Once you know what motivates your target audience it’s time to formulate ways to help them achieve their goals, thus helping yourself achieve your own goals. You can do this on your own, but another way to find opportunities is to go to your target audience and have a conversation with them. For example, if you’re on the sales team and you want to help your boss, the sales team leader, achieve a sales goal, go to him or her and discuss what the goals are. Discuss ways that the team has succeeded in the past. Ask about any ideas the team has had recently for increasing sales. This conversation will bring opportunities to light and you’ll know exactly what you can work on to achieve results. Next, leave the meeting and put together a game plan for taking the opportunities and achieving results. Look at the way others have done things before you. There is no reason to start from scratch. Look for examples within your company. Look for examples outside your company. Take the things others have done to achieve results. See if there is room for any improvements. Then start taking each step to achieve the desired results. Once you’ve achieved the results you can go back to your boss and discuss the specific steps you made to help the team and to help him or her. This kind of specific improvement in your professional career is what will lead to you moving up and achieving your ultimate goal. The number one person that you’re targeting with your personal brand is the person that will pay you: employer, investor, client, etc. However, that’s not the only person in your target audience. The second person on your target audience list is the person that influences the person that pays you. Influencers include any person that holds another person’s attention in some way. It might be a business partner. It might be an industry writer or an industry speaker. It could be a mentor, client or vendor. These people hold attention and influence the decisions that your number one target audience makes. And that’s why you need to pay attention to the influencers. If you can earn their trust, their approval then you can win them over and they can influence the person that will pay you. Free content that is obviously worth paying for. A product or software of my own that would serve my target audience by providing a solution to a very specific need. Free, higher-level help to influencers in the industry to start to build those important relationships. Here are the steps to follow to identify the influencers and win their approval. There are a few ways to figure out the people that influence the person that pays you. First, look at the social media profiles of your target. If it’s a real person you can look at theirs and if it’s not a real person you can identify a handful of people that fit your description and look at their social media profiles. You’re looking at the people this person is following or connected with. Twitter is a great indicator for this especially if your target is active on Twitter. The people they follow are people that occupy their attention. Also, look at connections on LinkedIn. These two social networks are usually the two most commonly used by professionals. Facebook is no longer relevant in business. Next, look for online publications that have readership demographics that match your target from the first section. Professionals usually have industry magazines and websites that they follow and subscribe to. The writers on these sites hold great influence over your target, but also pay attention to the people included in the articles. Industry publications often contain quotes, interviews, and mentions of people in the industry including business owners, managers, consultants, and others. These could also be influencers of your main target. Create a description of each person that influences your target. Make a description for each of the important connections on social media as well as the people involved in the publications. These descriptions, like the ones in the first section, will help you to better understand who these people are and how you can earn their trust and get them to mention you when talking to your target. Once you understand who the influencers are and where they are online you can put together your contact plan. This will be your way to connect with the influencer and help them with the things that motivate them. The basics would include connecting on social media like LinkedIn and Twitter. It also includes following any blogs the people write or contribute to. Follow the blogs, comment on the articles and make yourself visible to the influencer. The next step is to get more aggressive with the way you reach out to make connections with influencers. Now you’ll start using contact forms and emails to reach out and connect. You’re looking to build a relationship with the influencers so you can be top of mind when they’re influencing the person that you want to pay you. Think back to the motivations discussion in the earlier section. You need to figure out what motivates these influencers. If their business peers of your target then find out what would help them make more sales. If they’re vendors then figure out how to help them get more clients or figure out how to help them improve their standing with your target. If they’re writers then figure out how to help them get more page views. When you know what motivates people, you have a better chance of making a connection. “In my Amazing Career Project coaching program and in my client work, I’m fortunate to witness first-hand hundreds of dreams and visions being birthed into the world – new products and services, new businesses launching, new books and films under development, new methods for teaching, leading, and educating, and more. There is so much creativity and innovation today in our world—it’s inspiring. I’ve also seen many new inventions and ideas die on the vine without the proper support, encouragement, and feedback. The most important form of support that keeps an idea going and brings it into being is your support network—your “ambassadors”—people who believe in you without reservation and spread the word about the value and importance of your endeavors, and open crucial doors for you”. Finally, we have to remember your support team. These are the people that support you in your effort to move through your professional plan to achieve your brand vision. Supporters can include family members, friends, colleagues, co-workers, mentors and anybody that can offer support as you work your way to your vision. The team is important because you can believe in yourself, but it’s good to have people providing reassurance when you get frustrated. It’s good to have people there to tell you the truth if they see something in your effort that they feel could be better. You’re only one person and without supporters, you won’t have all the tools necessary to achieve your goals. The first step is to simply identify your support team. We just mentioned some of the potential people that can make up your support team. Reach out to a select few that you trust the most. You want these people to be both support, but honest when dealing with you. You don’t want a group of “yes” people that only agree with what you’re doing and what you think is best. You want people that will challenge you and push you to be your best. Chances are good that most of the people you reach out to will be open to your professional goals and they’ll be willing to help you. Let them know that it will require conversations and feedback on their part and that it will last for a long time. Most will agree, but don’t be offended if not everybody agrees to help. Next, once you have a handful of people on your support team you tell them what your goals are. These are the goals you established in the first chapter of this guide. Share your plan with your support team so they can see your vision. Ask them for feedback on your goals. Some might question parts of your plan and that’s good. The purpose of the team is to challenge you and to provide different perspectives on what you’re trying to accomplish. Next, set up regular updates with your support team. Monthly might be good for those closest to you, but it might be much for those that are less close. In general, quarterly or even every six months is good to keep your supporters updated. You want to tell them how your progress is going. Tell them the specific things you’re working on and how it’s going to contribute to achieving your professional goals. They’ll give you feedback and encouragement, which will be important because you’ll run into setbacks along the way and knowing that you have people supporting you is great. The updates will also keep you motivated. People can be motivated on their own to do well and you probably are, but it’s good to feel like you have other people watching you. This gives you an added benefit to keep moving forward, to keep working on those projects to make each step along the way. It’s not a one-way street with your support team. People want to help you, but to get the most out of the relationship you’ll need to reciprocate the efforts for them. They might also have goals for their professional life and you can work together to help each other reach those goals. You can be each other’s support team. You can offer advice, criticism and challenge each other. Another common thing that professionals are doing today is setting up their own groups or boards. It might be a group of startup entrepreneurs that meet every quarter even if it’s a Google Hangout or something like Markethive’s collaboration groups where they go over the important aspects of each other’s businesses. They check-in with others and report on progress, but they also ask questions and get opinions on strategy. It’s a real help for professionals because you get input from successful people on what you’re doing and it also keeps you motivated because you want to do well each time you check-in with your group. Research shows the vast majority of marketers are using content marketing. In fact, it is used by many prominent organizations in the world, including P&G, Microsoft, Cisco Systems, and John Deere. It’s also developed and executed by small businesses and one-person shops around the globe. Why? Because it works. To be effective at inbound marketing (content marketing), it is essential to have an automated marketing system that embraces and enhances your marketing strategy. Join Markethive to learn what questions to ask and how to develop your strategy. New to inbound marketing? Join Markethive where we deliver printed, video and live educational seminars to get you acclimated and up to speed. Need an inbound marketing strategy? Who Will Have The Edge In 2019 And Beyond? Who Will Have The “Edge” In 2019 And Beyond? A lot has happened in 2018, the demise of ICO’s, the bear market that hasn’t quit, devastating for some, cathartic for others. All in all, it’s been a year to sort the wheat from the chaff. A year of experiences that had to happen to see the rise of companies and startups that have survived, follow through, particularly those that have utilized blockchain technology. Greater trends are materializing and 2019 will see them come to fruition. We are in the Web 3.0 phase and ultimately the companies that focus on ideology, as well as product-market fit, have the edge. They require and advocate their ideology from day 1 as the final product and from there all else follows. Web 3.0 companies then demonstrate a profit function along with early product-market fit. Given the not-so-savory crypto-based startups that have tainted the new upcoming technology, along with the scandal surrounding Social Media, the masses are looking for an alternative with ethics and humanitarian nuances. The norm of allowing social platforms to use your activities, content, and conversations for their benefit is over. Your voice is yours and yours alone and you should benefit from it. Who and what is Markethive? Markethive is recognized as the next phase having evolved from Social Networks. This is the next generation – Market Network. Built on the blockchain, it provides security, privacy to the entrepreneur, offers a fluid, collaborative culture that is a decentralized, autonomous environment which creates intellectual achievements, social habits, innovation, music, literature, technology, and commerce. This provides a social environment complete with all the inbound marketing tools of the latest technology, that champions the rise of the Entrepreneur. To have a predominantly free system that allows freedom of speech, total privacy and transparency, promoting education for the youth through to the seasoned entrepreneur providing support, network, tools and motivation to experience entrepreneurialism, sovereignty and success resulting in a complete ecosystem with universal income. Markethive is creating a social network that is integrated with state of the art blockchain, cryptocurrency, and inbound marketing technology. Because Markethive is decentralized, autonomous and controlled by its entrepreneurs and holders of MARKETHIVE, its coin (MHV), will share and benefit from its success. The company has just started producing the Markethive Coin (MHV) and it’s interesting to note the total number of coins being mined is 8,888,888,888 to be exact. With a history of over 20 years in Inbound Marketing, including SaaS, CRM, and CMS, Markethive does have the edge and is on track to bring proven products and services to a much needy market. It is essentially the process of attracting prospects via content creation, creating brand awareness and integrity leading to a healthy relationship with the customer. These marketing tools that have been consistently successful over the years are now integrated with blockchain technology which resolves the issues notorious with centralized platforms, making it a fairer, more autonomous experience for the entrepreneur. The free Inbound marketing platform built on a social media interface incorporates blogging, email marketing & automation complete with cutting-edge autoresponders, social media monitoring & publishing, SEO & analytics, landing page creation, all of which the Markethive member is paid to learn and utilize these products and services. In addition, the Entrepreneur 8 point program provides lucrative opportunities to manifest multiple streams of income, thus creating Universal Income. Markethive has changed the playing field for what is known as the Customer Lifetime Value. As their ethos is about collaboration and relationships, they have blurred the line, or merged the line, between "customer" and "connection". Facebook, LinkedIn, Twitter create "connections"
Ebay, Amazon, Freelancer, create "customers"
Markethive delivers "associates" that are both "connections" and "customers", so the value and longevity are far more valuable and more likely to build into long-term clients. Markethive has the technology that captures the information from leads that are worth a minimum of $200 each if you were to buy them. Their Loyalty Program makes the leads even more valuable. Blockchain technology provides new infrastructure to build the next innovative applications beyond cryptocurrencies. It'll drive profound, positive changes across business, communities, and society. Simply put, there is privacy, transparency and any data or information stays the ownership of the user, not the company where it can be sold or shared for profit. Markethive, coupled with the blockchain has been implemented on a social media platform making it decentralized. It's becoming well-known the oligarchs have been in a data selling scandal and many users are up in arms about it and fed up. Facebook, Google, Twitter, and LinkedIn are all centralized and also need to make a profit for its shareholders somehow. Blockchain-based Companies like Markethive, derive their profit from the projects that are underpinning it, plus the products and services they deliver, therefore they are able to give back to its users in many forms, including remuneration for using the platform. In essence, they give the power back to the people. According to the WSJ the flagship cryptocurrency, Bitcoin can now be equated to gold bullion. Data is showing there is now a strong correlation between bitcoin and traditional asset markets. BTC is going from strength to strength regardless of the mainstream media touting that it is dying. It has been “killed” over 90 times in 2018 alone. Even when we saw bitcoin surge from $1000 in January 2017 to $20,000 in December 2017, it “died” 125 times. As we look deeper into what’s happening behind the negativity and FUD, the technology and new way of transacting is proving to be easing its way into the mainstream. Cryptocurrency is becoming extremely popular among the self-employed. It’s appealing and advantageous as it negates the need for intermediaries for payment of services, including international transactions which are typically slow and expensive. Freelancers are also attracted to this new payment system as it assists them in dealing with clients they don’t know. It eliminates the trust factor making the transaction more secure and successful. 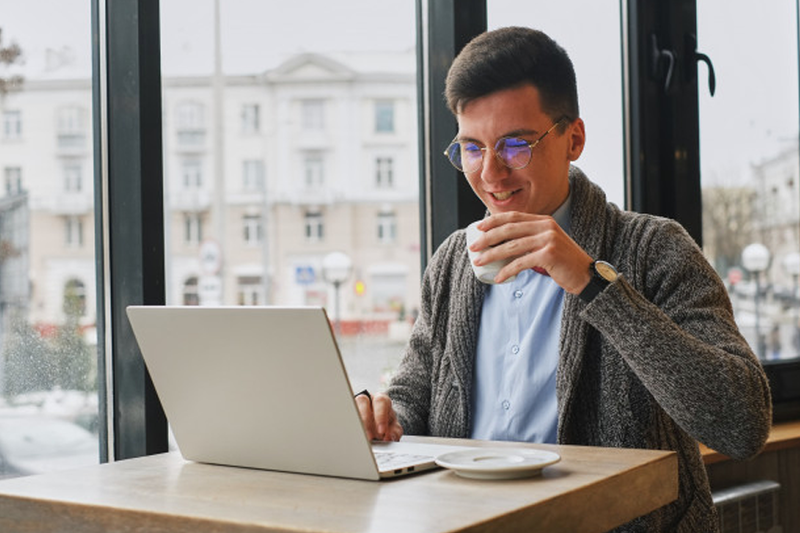 Additionally, the decentralization of blockchain technology integrated with a freelancers platform, allows the power and freedom to be given back to the users ensuring no one can access their data without their permission. This is a new era with the evolution of technology. It is the next generation. Fuelled with Markethive’s own utility coin, this creates a complete ecosystem with potential prospects on tap, and this is just the tip of the iceberg. This premier hybrid social network includes news feeds, blogging platforms, video channels, groups, image sharing, resume, profile page, along with the peer to peer commerce. But more than a social network, Markethive has already delivered proven quality “Inbound Marketing Tools” which are up and running now, such as blogging platform, blogcasting, capture pages, lead funnels, autoresponders, broadcasting, self-replicating group tools, traffic analytics and more. How much would you expect to pay for all of these features? Notably, Markethive was recognized as the first Market Network back in 2015 by TechCrunch. Now with the introduction and implementation of blockchain technology, this has made Markethive a world first of it’s kind. As of January 2019, Markethive has commenced the infinity Airdrops to all new free subscribers, a tutorial system that pays you to learn and a social network that rewards you with the MHV coin for all activities on the platform. As it’s on par with Marketo, the Inbound Marketing system alone would cost around $2000/mth or more without the added benefits of the blockchain and universal income. The best part is this system is predominantly free, however, it gets incredibly better with the Entrepreneur Upgrade for $100/mth. On offer for a short time, this gives you the ability to accumulate shares in the company, which will pay 20% of the profits for the period of a lifetime. This is called an Initial Loan Procurement or ILP. Markethive is dedicated to your dreams and not only has spent over 20 years perfecting the systems but have built this Entrepreneur upgrade to accelerate your path to success. Markethive is establishing multiple sources of revenue, including a variety of altcoins, fiat currency, mining hives, the Entrepreneur program, and commerce portals. It is and will not be dependent upon speculative value as is the case with other cryptocurrencies and platforms, thereby creating eternal economic velocity in the entrepreneur ecosystem within Markethive. This means Markethive is not consuming its coins. The Consumer coin is being utilized within the Markethive exchange by way of airdrops and the faucet system which rewards associates using the platform, so the coin is used within the commerce of the system thus creating the velocity. The revenue is a vehicle that is used to buy the Markethive coin back in the free market so it can be redistributed into the economic vortex of the system. This is a fundamental difference to the other systems currently out there today. Therefore Markethive is the goose that continually lays golden eggs. The other systems are just the egg. The Markethive system has been developed to produce revenue in the traditional sense with the added benefits of the blockchain taking it to the next level.